Snowy Mountains Grammar School is a unique day and boarding educational institution, catering to students from Kindergarten to Year 12, and is the leading co-educational school in alpine Australia. The school campus is adjacent to Lake Jindabyne, on the outskirts of the town. Canberra is a two-hour drive to the north, whilst the ski fields of Perisher and Thredbo are just thirty minutes away. The school offers places to residential students (full-time and weekly) from Years 7 to 12. Facilities include single accommodation with spectacular views. I invite you to look through our website as you consider Snowy Mountains Grammar School as the ‘right choice’ for you, whether it be as a Day or Boarding student. 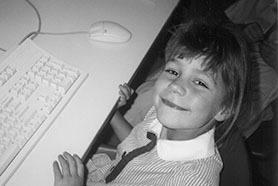 Snowy Mountains Grammar School commenced operations in 1996 in response to a direct request from the local community. Meet the passionate and dedicated staff who are responsible for guiding your child on their educational journey. Find out why we exist and where we are heading. View the policies and procedures employed by Snowy Mountains Grammar School. Snowy Mountains Grammar School is a wholly independent entity overseen by it’s Board of Directors. 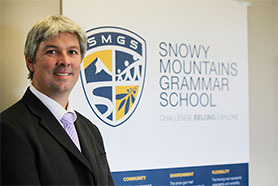 Employment at Snowy Mountains Grammar School offers the unique combination of a fulfilling role in a growing organisation, within a pristine and unique natural alpine environment.